Sign Up To Get Your Free Starter Packet Now! Smartland has been investing in real estate for almost a decade. Of course, there has been a few bumps along the way. We want to take the time to make sure you do not encounter the same issues we once faced. It wasn’t easy, but we have narrowed Real Estate Investing down to a science. Register on the right and we will give you access to a package that can help begin your adventure into the Turnkey Real Estate Investing world! We would like to help as many investors as we can avoid any mistakes when they get started! We put together an excellent source of information to help any investor start their journey into Turnkey Real Estate Investing. Let Smartland help YOU. We also included information on our market for investors wanting to buy single-family homes in the Cleveland area. Lastly, we prepared a detailed report on what makes Turnkey Real Estate Investing a viable source of income for the future. In the report we compare traditional investing (stocks and bonds) to Turnkey Real Estate Investing. We want to share this information with you so that you can get off to a good start in real estate investing. Just sign up to your right and we will send you information that could change your fortune in real estate investing. We are Northeast Ohio's largest real estate investment firm, providing customized services to clients as diverse as seasoned entrepreneurs, young professionals, retirees, and academics. Our team combines financial savvy with expertise in property management to help clients identify and invest in alternative investment vehicles that have strong growth potential. 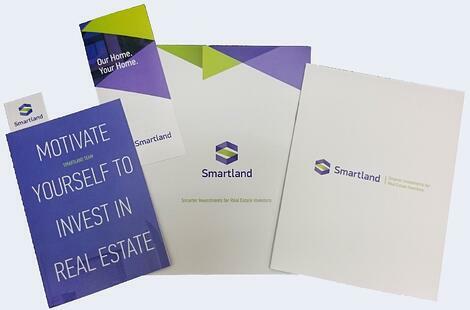 To help clients make informed investment decisions, Smartland provides a variety of services—including property management, investment analysis, and business and real estate news—along with sophisticated planning tools and investment opportunities.